It was not too long ago the Baktiari and their carpets were simply lumped into one big group of many different peoples and their weaving traditions. Thanks to many scholars we now think of these migratory groups as separate with each having unique characteristics in their weaving techniques and designs. 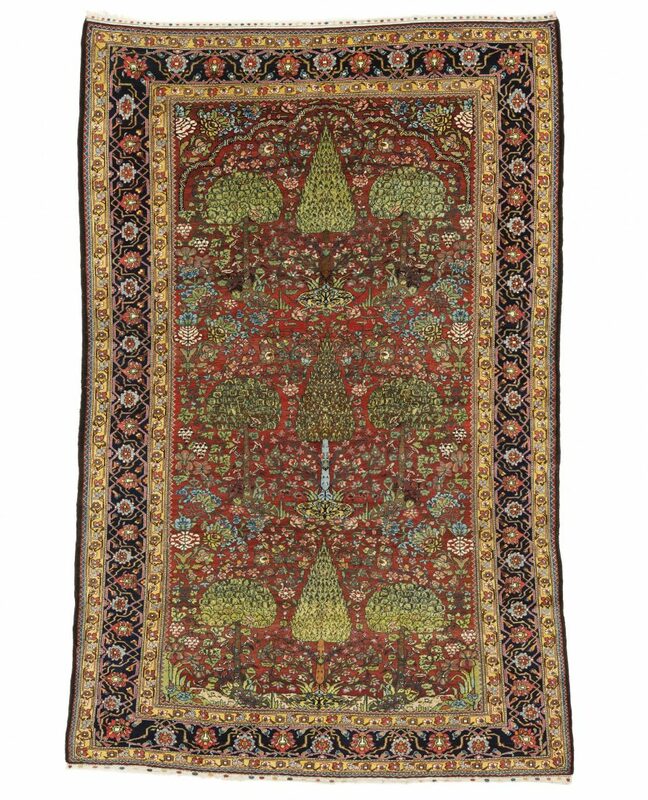 As with most Persian carpets, the Baktiari have a long history of producing rugs in difference sizes that usually rely on floral or so called ‘garden’ designs. The design elements with the Baktiari are usually displayed on darker colored backgrounds which allows for a colorful contact. The Baktiari are not shy with their usage of colors. Designs suggestive of gardens are among the older patterns woven in difference locales. In earlier ‘garden carpets’ the plan for a Persian garden is represented, complete with paths and streams with fish. Many examples from the 16th and 18th centuries have survived. 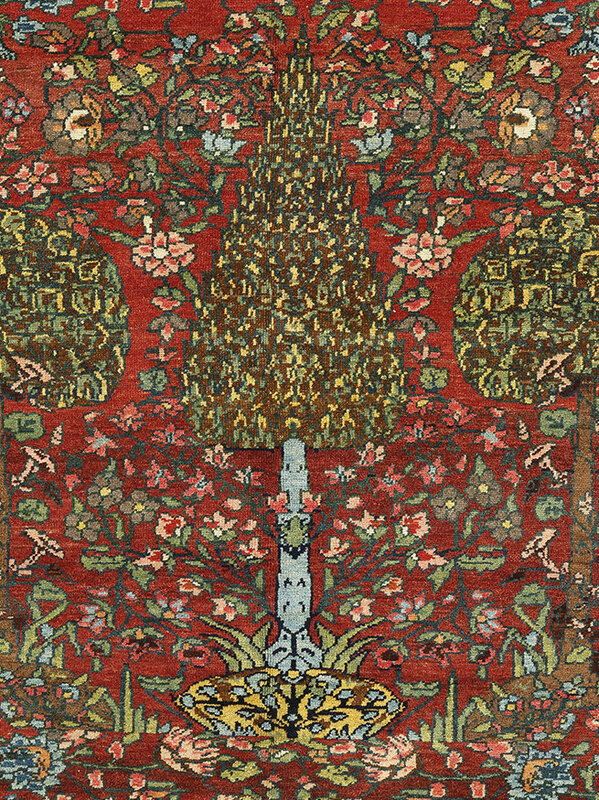 This design style altered in the 19th, when rugs with square panels filled the field as seen in Tabriz carpets. The example offered is, to the best of our knowledge, a unique example. The weaver has taken great liberty with the field design and broken from the more commonly seen repeated floral elements and compartments. The field design is rendered with great artistic freedom with the border acting as a static but beautiful frame. Note what appears to be mushrooms growing around the trees. It helps explain the wild use of color and design.